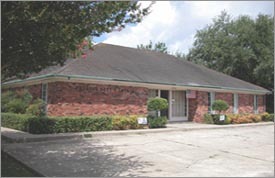 Theriot, Duet & Theriot, Inc. Insurance Agents (TDT) has been established since 1957 and was originally founded by Mr. Leon Theriot, Mr. Norman Theriot, and Mr. Louis Duet. These gentlemen concentrated their efforts to bring superior insurance expertise to the growing commercial segment of Bayou Lafourche. TDT has grown over this period to be one of the largest independent insurance agencies in Lafourche parish. TDT's boasts a longstanding clientele with loyal customers who are treated with great care and are deeply appreciated. Our consistency of excellent performance attracts new customers as well as loyal customers continuously, setting aside TDT from its competition. You are welcome to join TDT as this agency grows bigger and better.